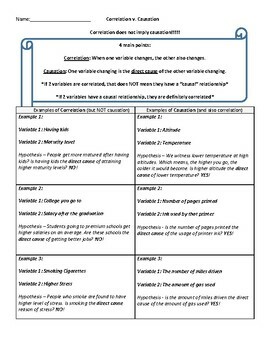 This two-page resource provides notes on 4 main points in addition to examples of correlation vs. causation. The notes are completed and can therefore be used as a resource for self-directed practice. 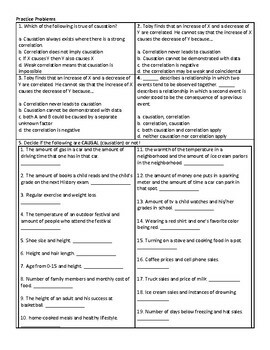 The practice problems are common-core aligned and spark interesting debate among students! I have used this as partner practice as well as homework.